UDM Downloads > Dekart Password Manager! Dekart Password Manager is a smart and easy to use program dedicated to removing off your shoulders the common burden of having to remember tons of complicated passwords. Dekart Password Manager memorizes and securely stores your online and offline passwords, so you will never forget them again. Now you can automatically log on into online accounts, complete online registrations and fill in website forms with one click. Dekart Password Manager offers you peace of mind, portability and absolute security. Automates web logon and online registration processes. Able to generate cryptographically strong passwords, which can be used for your accounts. Backs up copies of your data and encrypts them, as well as restores the data from an encrypted backup copy.Protects your passwords and private data with USB key/smart card and biometric authentication making the risk of privacy exposure virtually nil, even if the flash drive is lost or stolen.Dekart Password Manager is a customizable and smart program, able to train itself. 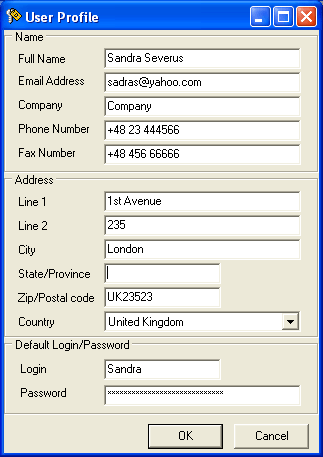 All you have to do is visit a site or use an application, and manually fill in the form fields. The form data will be automatically stored on the USB key. Next time you access this form, it will be automatically filled with the values from the USB key.The program will be useful to anybody who wants to keep their private life away from foreign eyes, without having to change their habits.